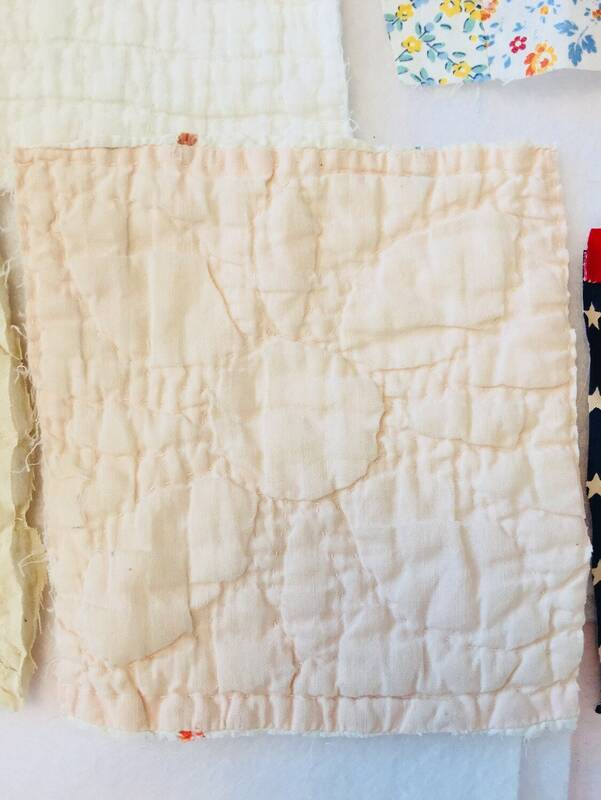 I love quilts especially well loved and well worn quilts. 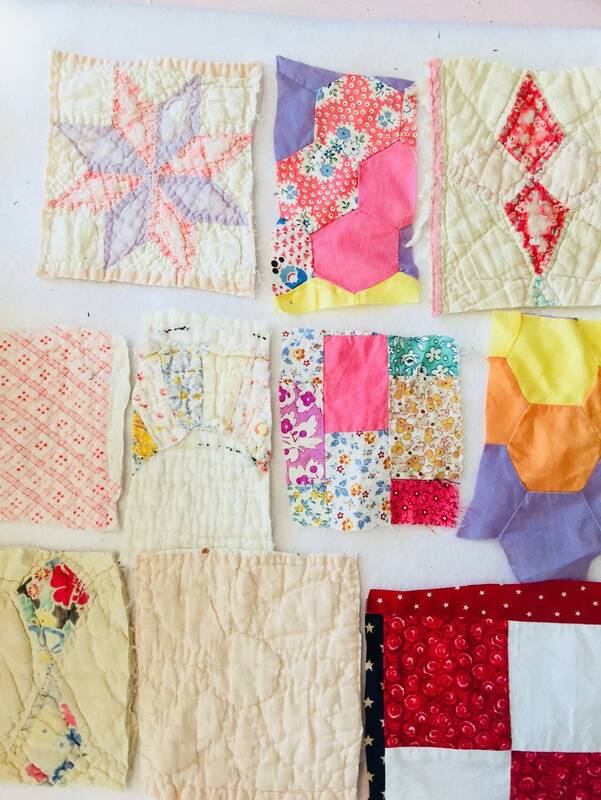 Over the years my collection has grown to over 100 quilts many of them from my beloved relatives. 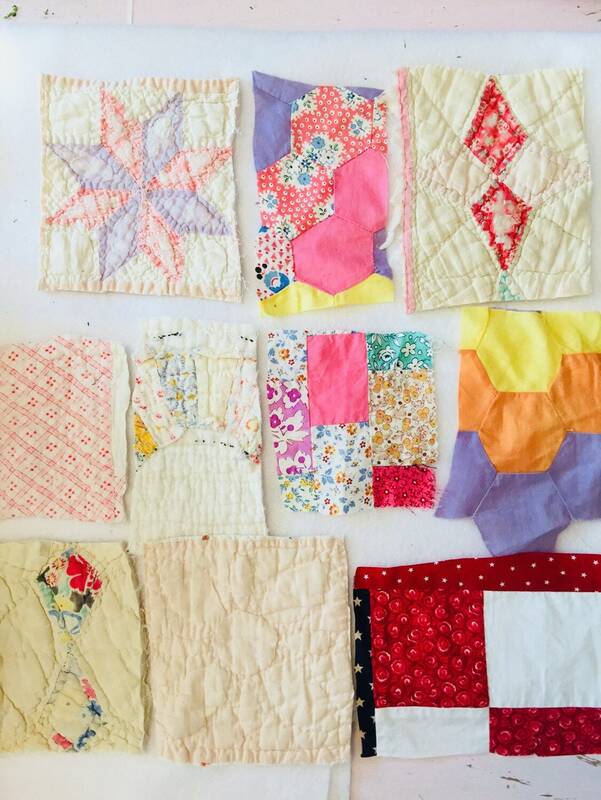 And then I’ve made quilts adding to my collection! 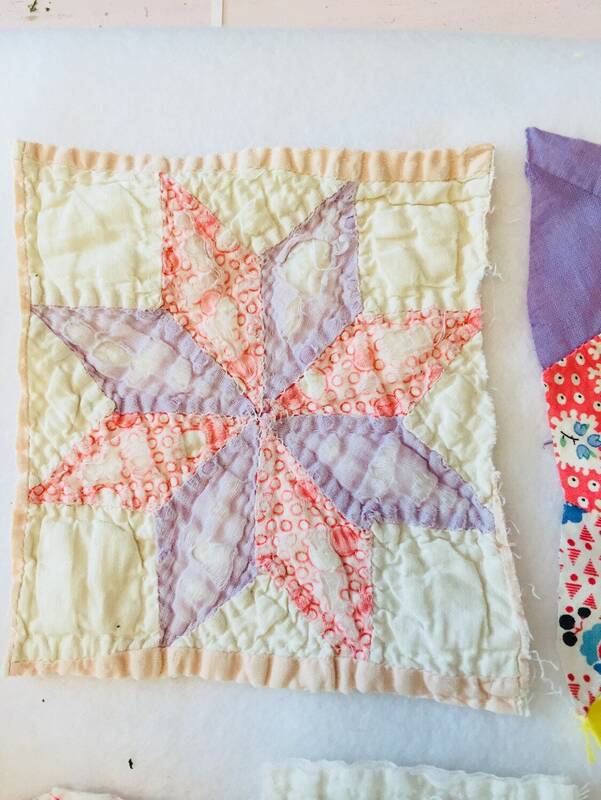 One of my favorite things to do in miniature is replicate quilt hutches or armoires filled with quilts or the look of little quilts. 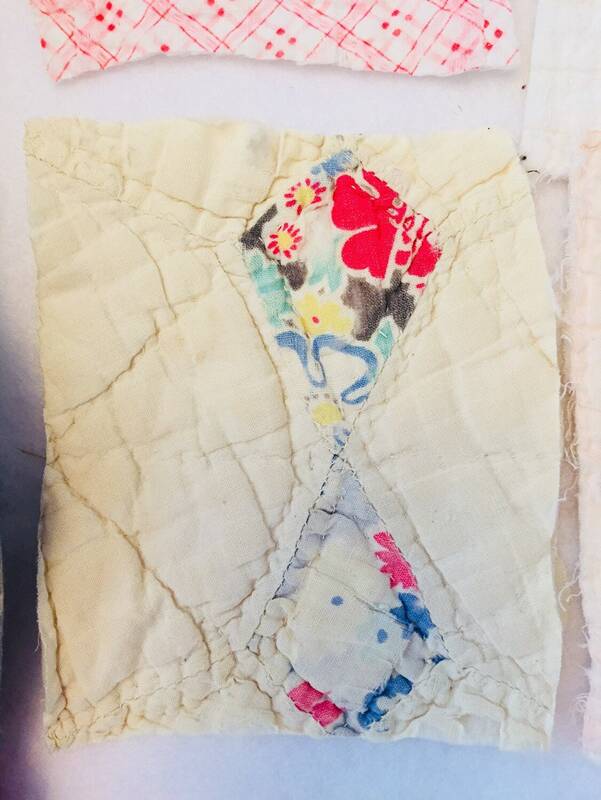 I began looking for turn of the century quilt pieces referred to as cutters. 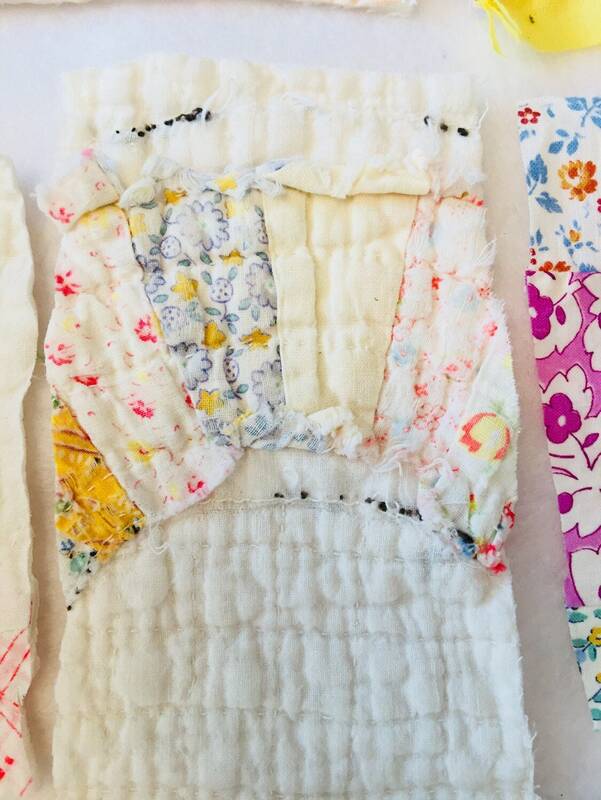 These were perfect for using in a dollhouse sewing room, armoires and other cupboards. 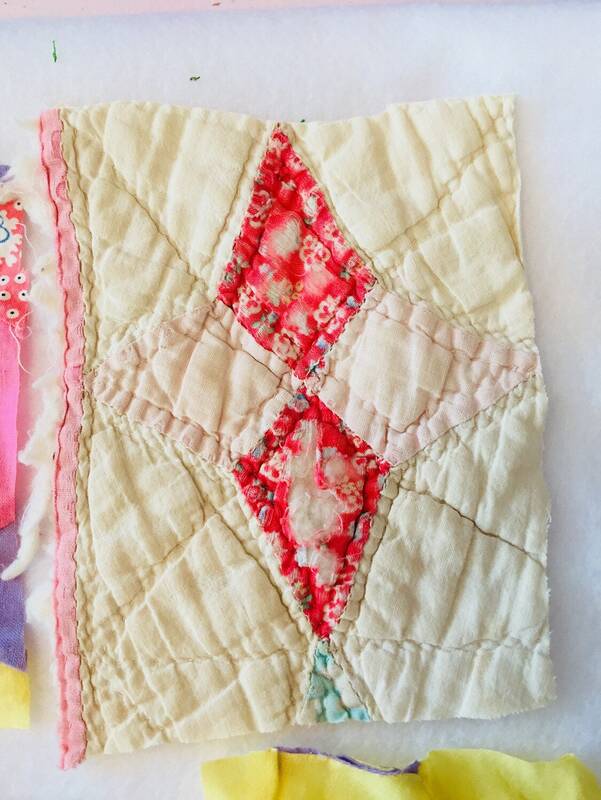 This listing is for 10 pieces that you see ( at least 4” x 4” in size) you’ll receive a total of 10 vintage quilt pieces. These pieces are well loved so look close before purchasing. 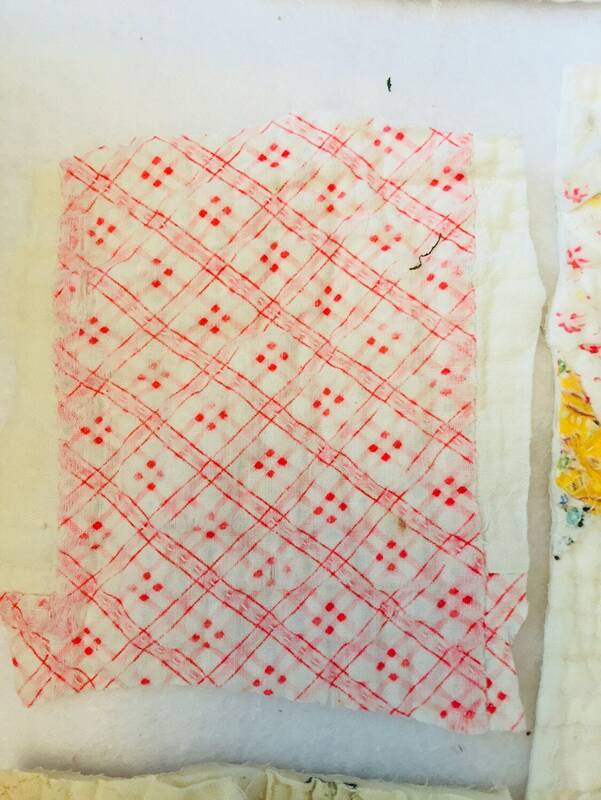 Look at all the listings I have for vintage quilt, fabrics and lace pieces. Most dollhouse furniture is at most 3” wide anjd usually 2 1/2” wide so the pieces are big enough to use or cut down to fit a hutch or cupboard. 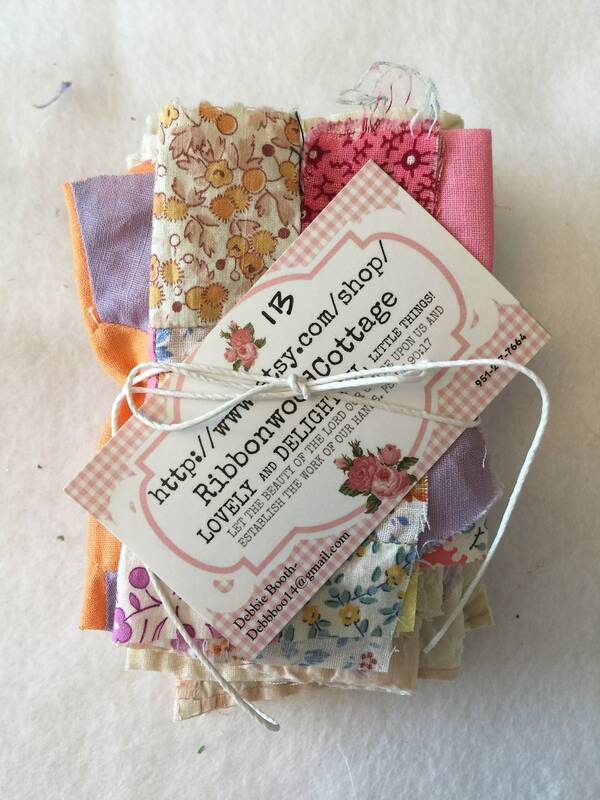 These pieces can also be used for junk journaling embellishments.